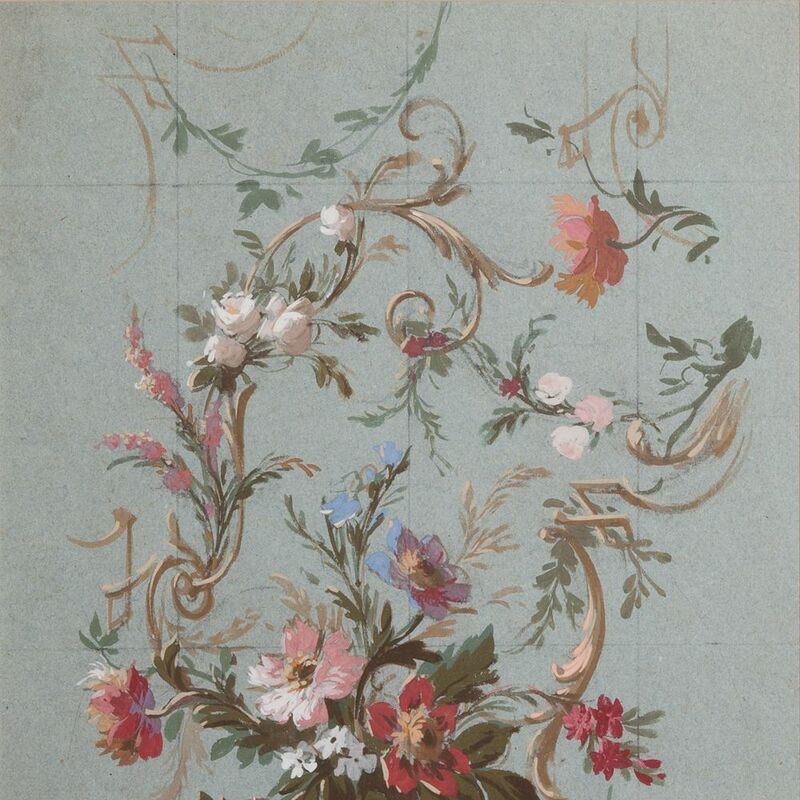 Eugene Petit, 1839-1886 was a famous painter of flowers during the mid 19th century. 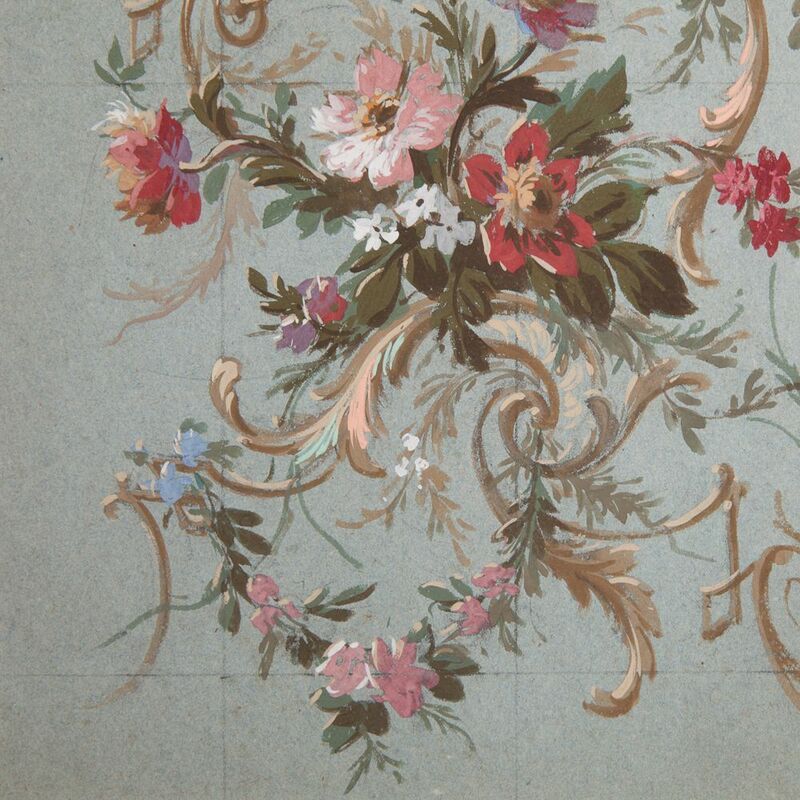 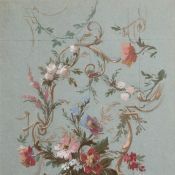 His large floral wall panels were executed for the Chateau of Fontainbleu and Salons in Paris. This work is a study for one such panel and still retains the penciled in grid created to aid in recreating it on a larger scale. 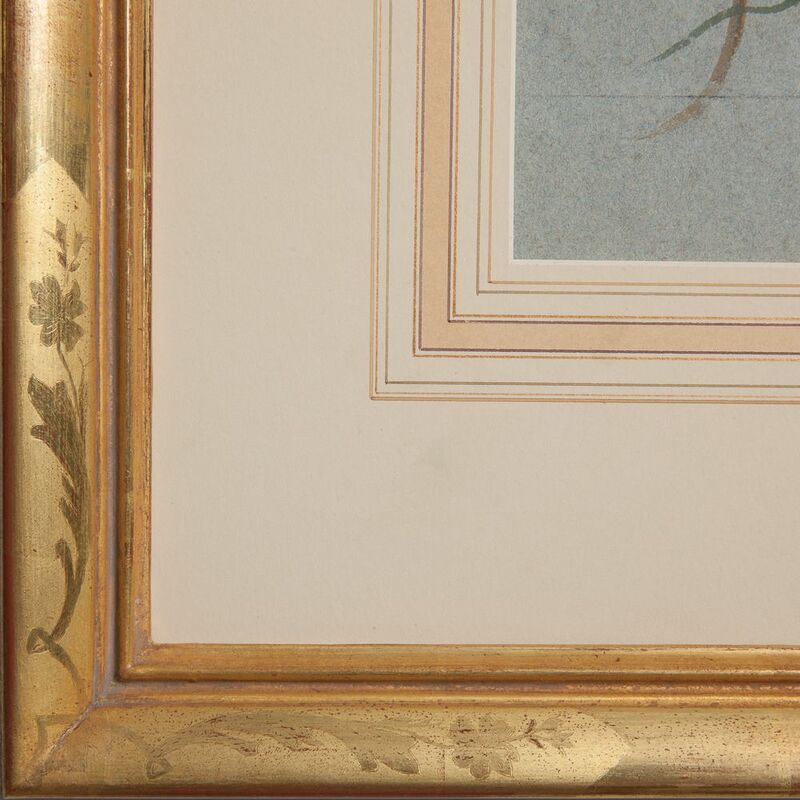 It is in a modern giltwood frame with floral decoration and surrounded by gilt French matting.